The strange and increasingly alarming confrontation between India and China in the Himalayas appears to be over, at least for the time being. On Monday, the Chinese Foreign Ministry announced that Indian troops had withdrawn the small force that was “trespassing” on territory claimed by China. “On the afternoon of August 28, the Indian side has pulled back all the trespassing personnel and equipment to the Indian side of the boundary and the Chinese personnel on the ground has verified this. China will continue to exercise its sovereignty and uphold its territorial integrity in accordance with historical conventions,” said the Foreign Ministry, marking the end of a confrontation that began on June 18. “The Chinese government highly values its friendly relationship with India. We hope India can fulfill the historic agreement on the border and safeguard the stability of the border area with China,” the Chinese Foreign Ministry added. Even as the Indian troops pulled out, China removed the road-building equipment that started the crisis. 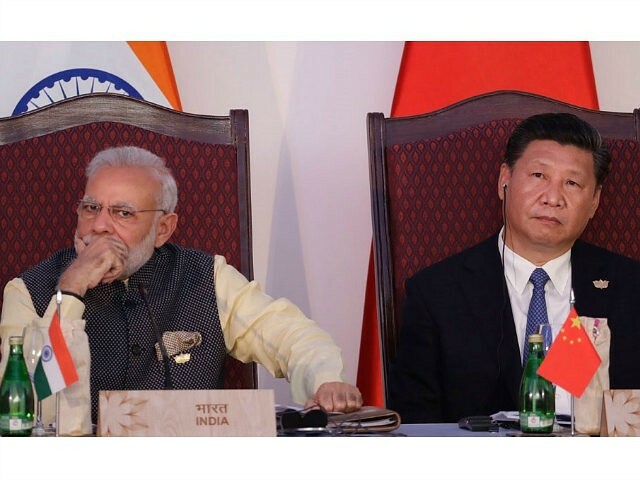 The Times of India declared it a “diplomatic victory” for both sides, a product of “numerous meetings” between Indian and Chinese officials at various levels. Indian Prime Minister Narendra Modi’s impending visit to China for an international summit, and the upcoming Party Congress in China, were cited as reasons both sides wanted to wrap up the Himalayan dispute as quickly as possible. TOI throws in a little dig at China for “breathing fire in the public domain” while India was quietly maintaining its position that Chinese road construction in the disputed Doklam area must cease. The Indian paper also congratulated India for graciously allowing China to spend all morning portraying the end of the confrontation as a face-saving slam dunk win for Beijing before news leaked out that China was withdrawing its construction equipment as well. In fact, AFP notes that Chinese proclamations throughout the day have portrayed the resolution as a total victory for China by mentioning only the Indian troop withdrawals. China analyst Dan Wang of the Economic Intelligence Unit warned CNN that the “risk of both sides getting back to a military standoff is not eliminated” and that some form of economic warfare might break out even if military confrontations are avoided. The CNN article notes that pressures such as China’s partnership with India’s arch-rival Pakistan in the Kashmir region, and India’s reluctance to help China complete its vaunted “New Silk Road” trade route, have caused the relationship between the two countries to deteriorate. This raises the risk of seemingly minor disputes flaring up into significant crises, as was the case in Doklam – which was, at root, a territory dispute between China and Bhutan, not India. The Hindustan Times quotes Indian General Bipin Rawat warning that China seeks to “change the status quo” on the Indian border, so the risk of further tense incidents will “increase” in the future. The Hindustan Times editorializes that China is working hard on a project to achieve global hyperpower status by 2049, taking over the position from a waning United States. Modi is given credit for resisting China’s demands, despite Beijing’s expectation that he would fold quickly. “By standing up for Bhutan at Doklam, it is India, which has behaved with surprising firmness in thwarting Chinese designs,” the editorial declares, warning that belligerent elements in Beijing might look for another opportunity to push India around and establish dominance over the region.